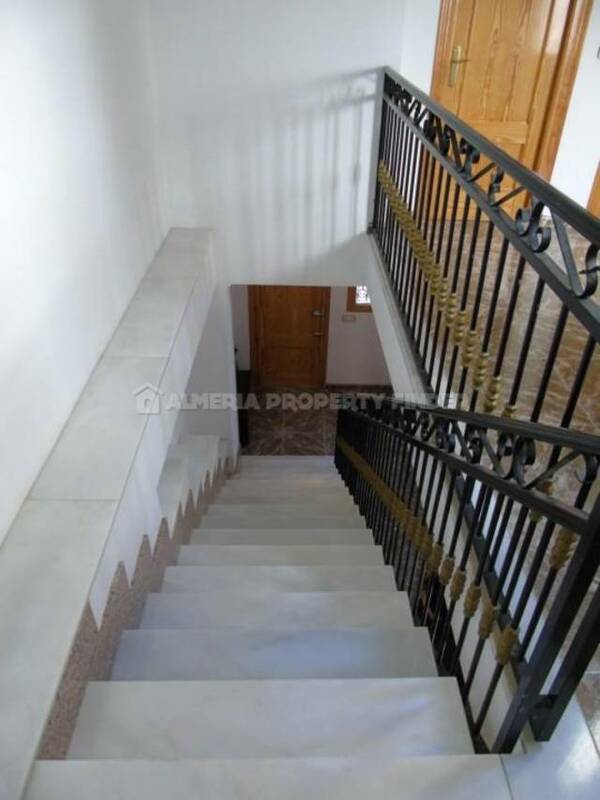 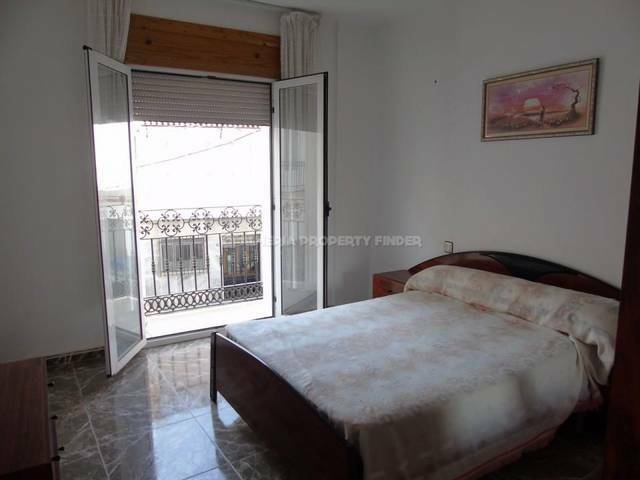 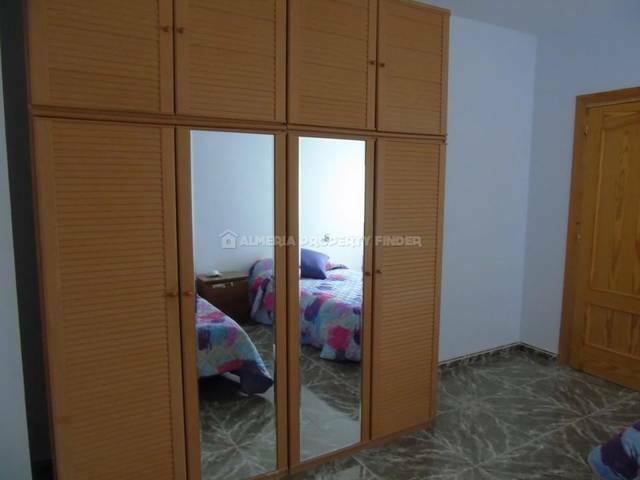 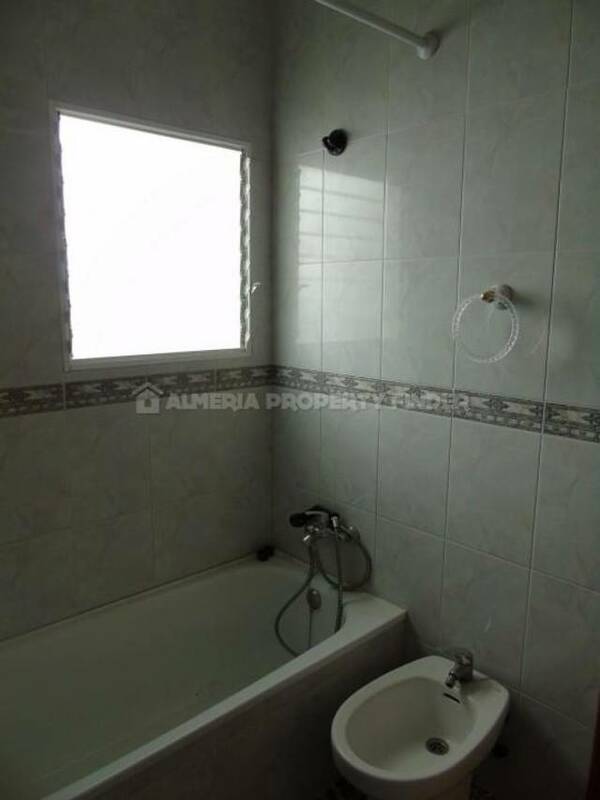 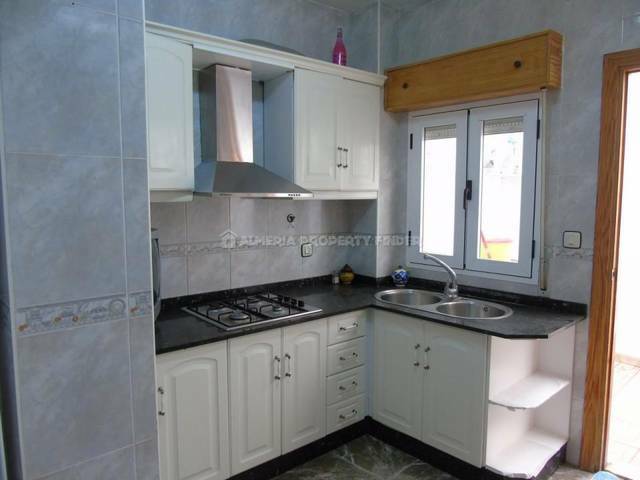 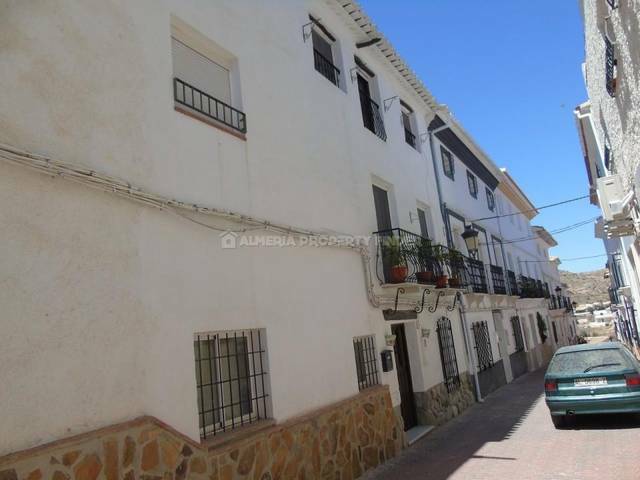 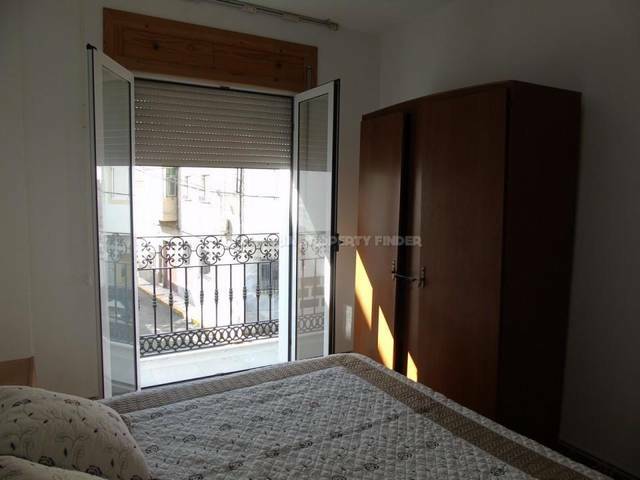 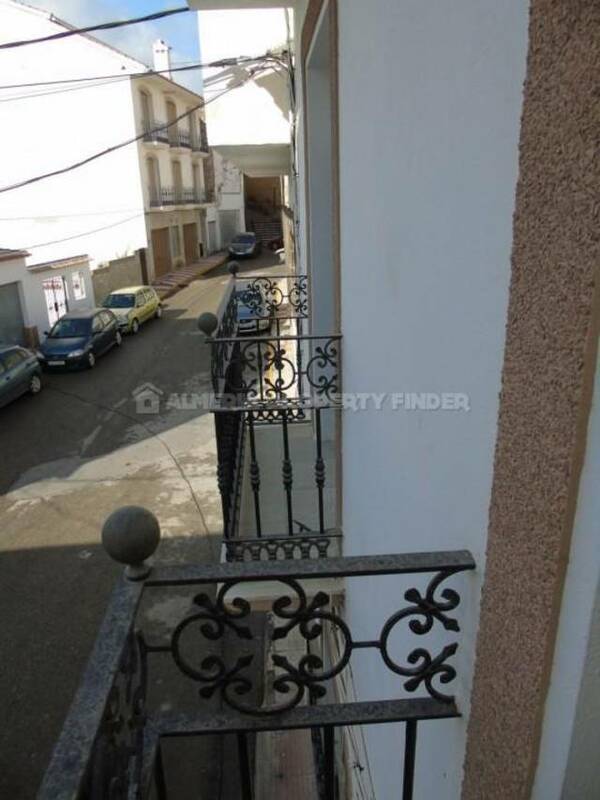 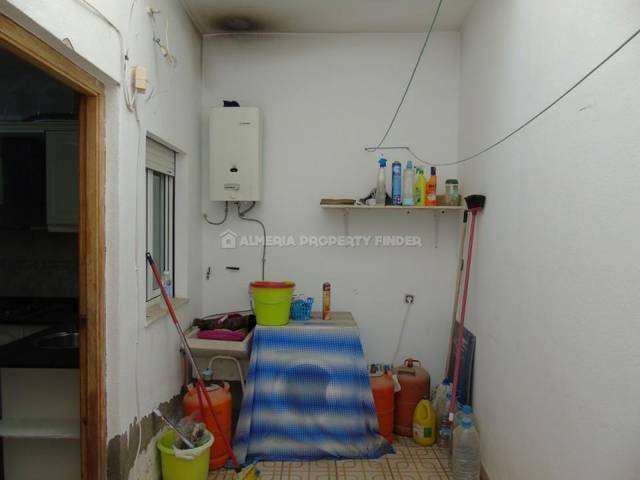 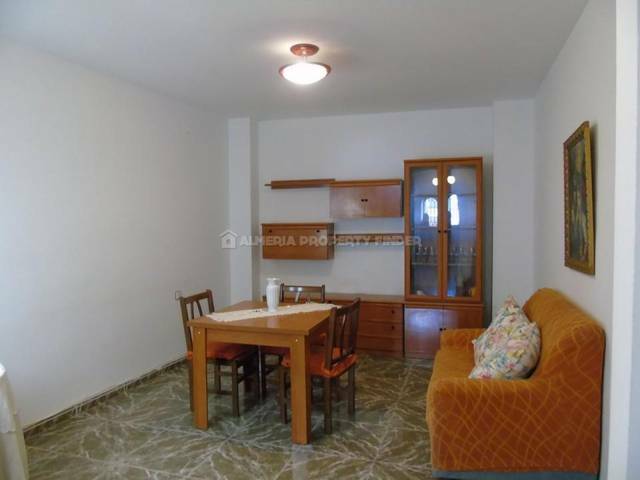 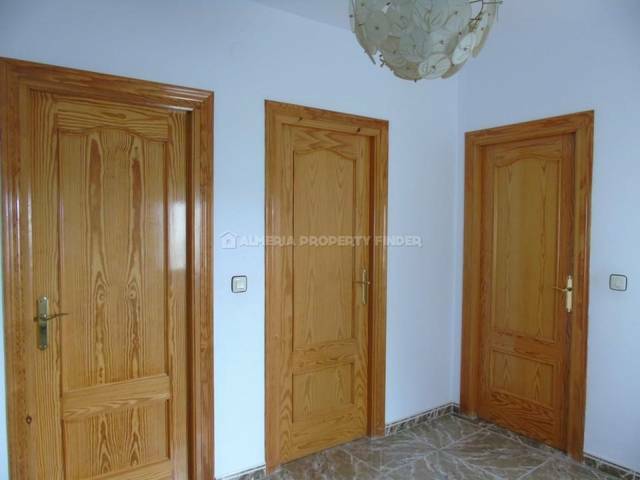 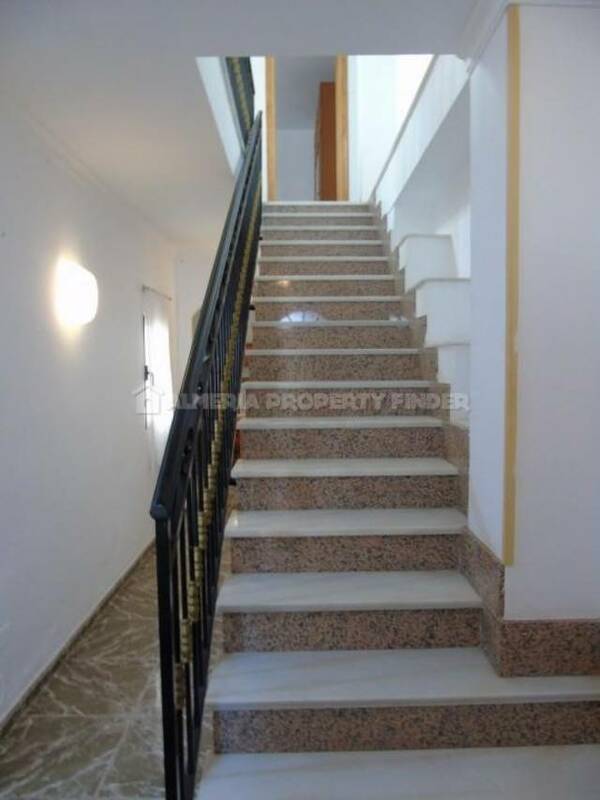 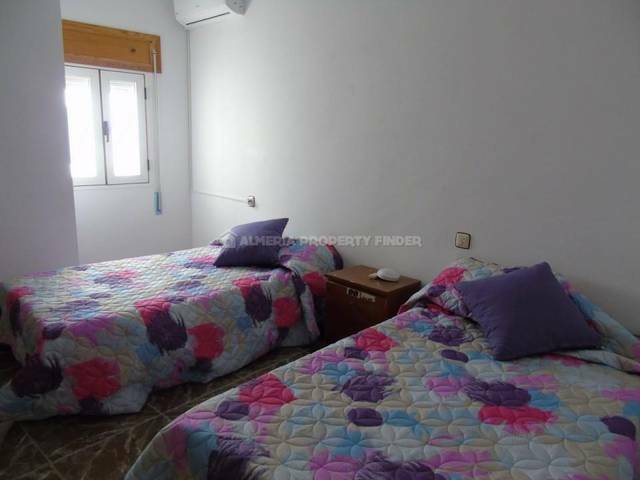 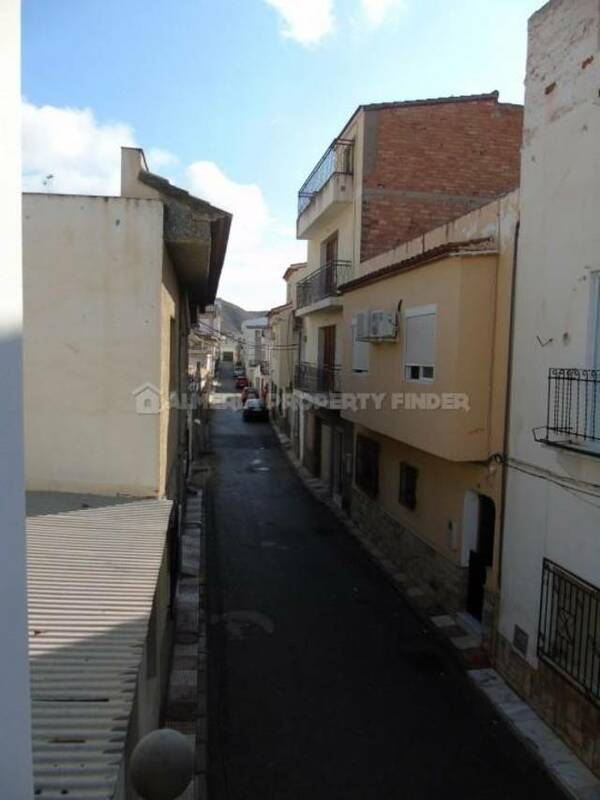 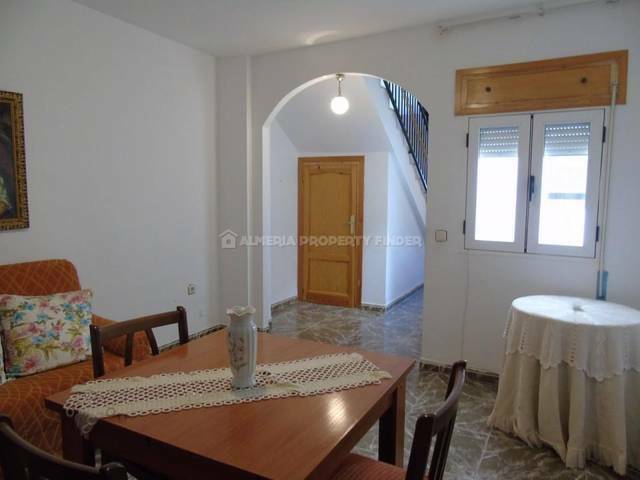 Two storey four bedroom town house for sale in Almeria Province, situated in the traditional valley town of Cantoria which offers all amenities for daily living. 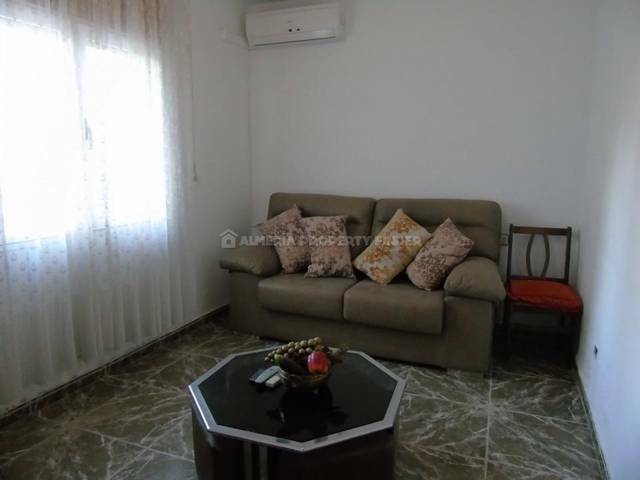 The house is completely habitable and is to be sold furnished. 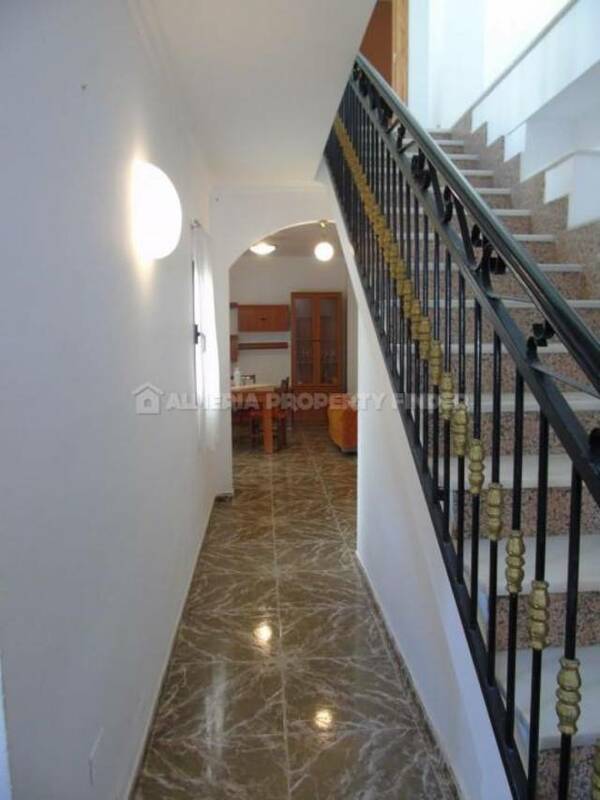 From a covered porch, the front door opens into a hallway with stairs to the first floor and a useful understairs storage cupboard. 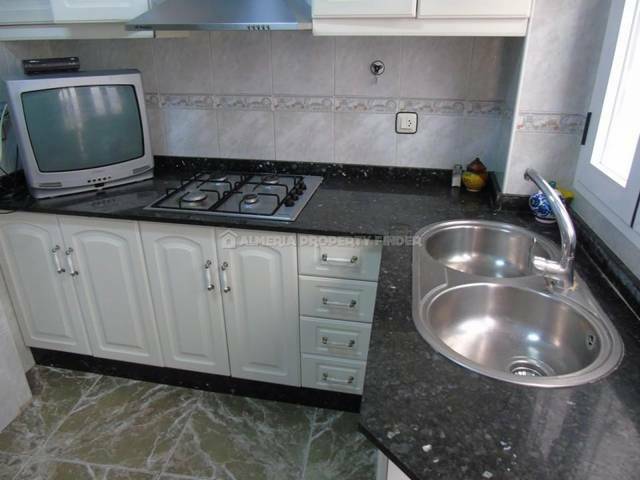 To the left of the hall is a door leading into a small fitted kitchen with a gas hob and double sink. 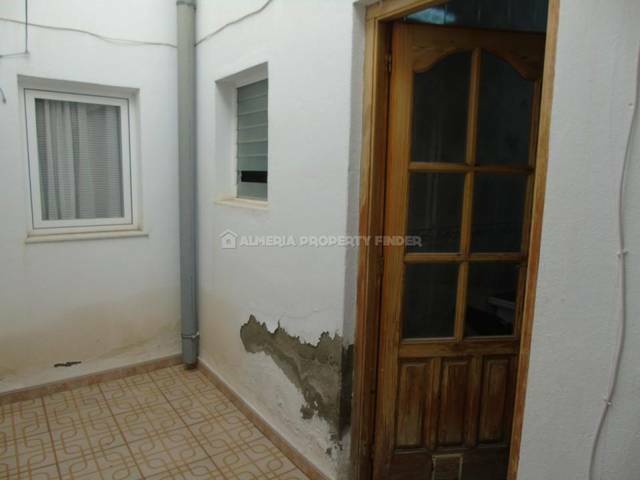 A part glazed door leads out to a courtyard with covered utility area. 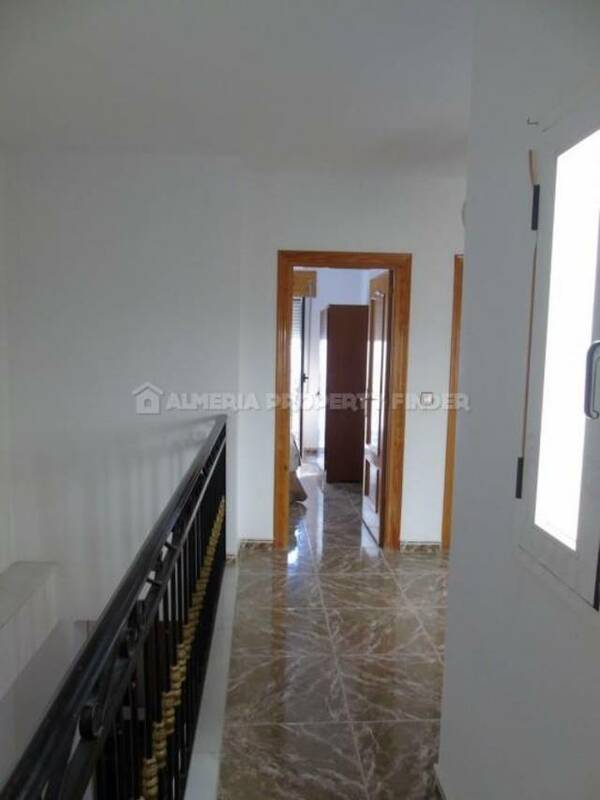 To the end of the hall, an archway leads into the lounge / dining room which benefits from hot & cold air conditioning. 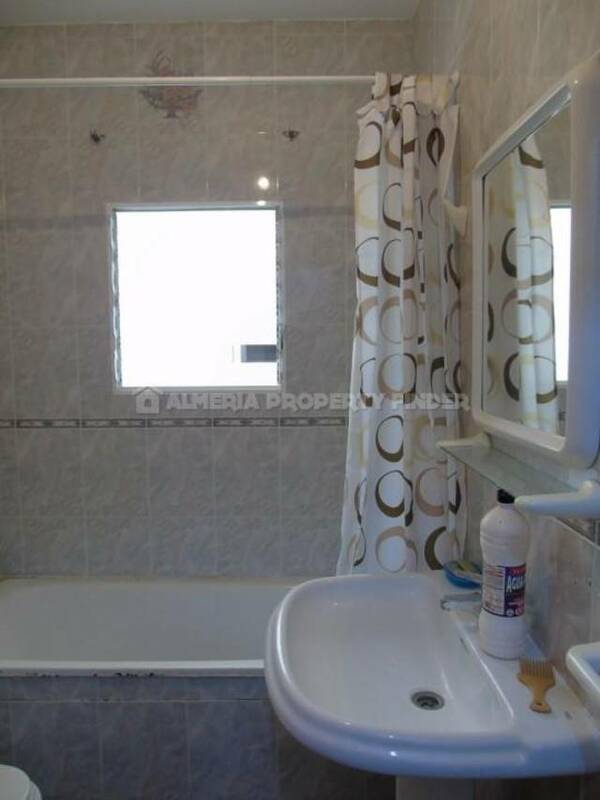 This room previously had a fireplace so still has a chimney making it easy to install a wood burner if desired. 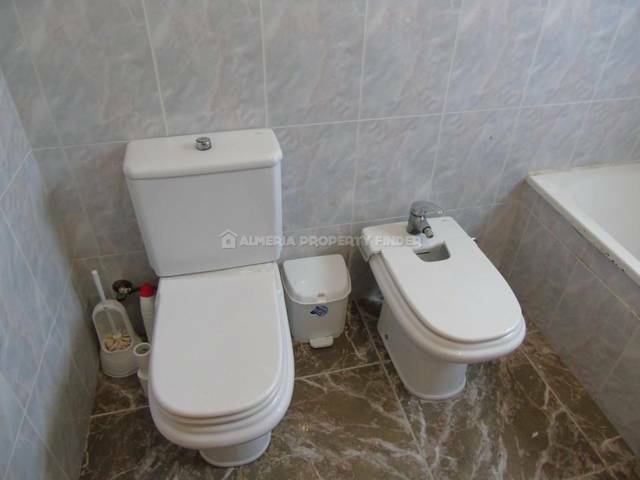 There is also a double bedroom on the ground floor, along with a bathroom comprising bath with shower over, WC, bidet and basin. 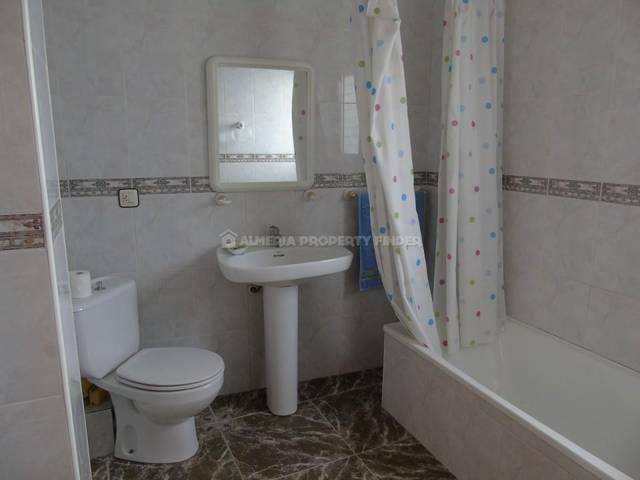 The first floor comprises three double bedrooms, one with hot & cold air conditioning and two with Juliet balconies, and a separate family bathroom comprising full size bath with shower over, WC, bidet and basin. 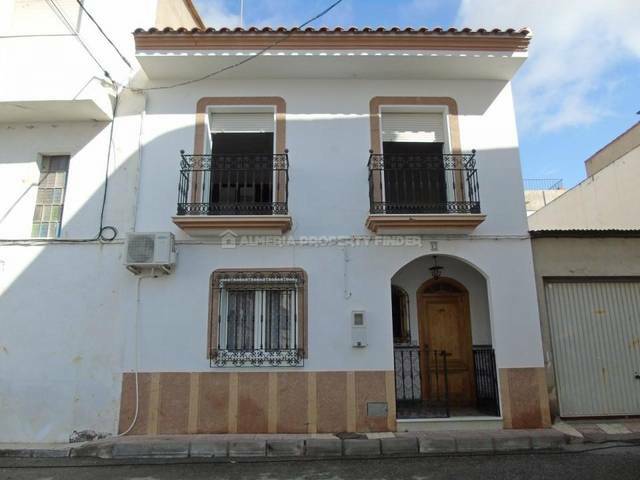 The house occupies a central position within the town, so is within easy walking distance of all amenities.